If you liked this show, you should follow Latino Role Models Success. Alberto B. Mendoza is the founder of Honor 41, a national Latina/o LGBTQ online 501 c3 non-profit organization that promotes positive images of the Latina/o LGBTQ community, creates awareness and builds a network that can be linked to local organizations. Besides his involvement with Honor 41, he is the Vice President of Development and Marketing for Floe Financial Partners, a boutique wealth management firm in Pasadena. He’s been the Executive Director for various non-profit organizations, such as AIDS Service Center Pasadena, the Coalition for Clean Air (CCA) and was the founding regional director for the Drug Policy Alliance’s Sothern California office. 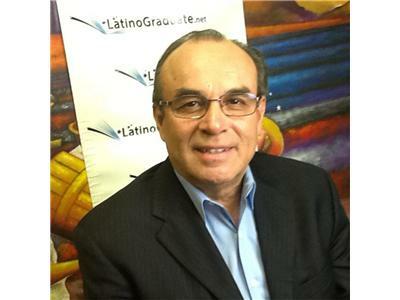 Alberto has also served on several non-profit boards and has chaired various advocacy coalitions. Originally from Mexico, Alberto was raised in Puerto Rico and San Diego. He obtained his bachelor’s degree in behavioral sciences from California Polytechnic University, Pomona.